Poster featuring an illustration of a woman as Columbia holding out her hands to the viewer. Behind her, a city is in flames. 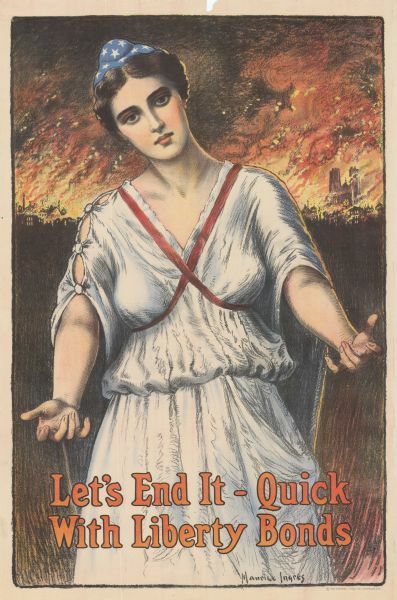 Poster text reads: "Let's End it — Quick With Liberty Bonds." Illustration signed by Maurice Ingres. The Central Litho. Co. Cleveland, O.